Do you want to know about the secrets of Google AI Rankbrain SEO? In the coming era of artificial intelligence, Google AI Rankbrain SEO will play a major role in search engine ranking.Let’s learn about some sure shot secrets of Google AI Rankbrain SEO. Have you ever thought that why sometimes your keyword which is on 7th rank goes to the third rank and after some time it moves to rank 6? This is controlled by machine learning algorithm known as Google Rankbrain. Today, I am going to reveal here some secrets about Google SERP setup by machine learning algorithm known as Rankbrain. Rankbrain is a machine learning algorithm designed by Google engineers. According to their study and research, Google engineers found that Rankbrain gives more accurate and relevant results to users. That’s why Rankbrain will be used for Google SERP setup. I think this is enough to tell you something about Rankbrain. 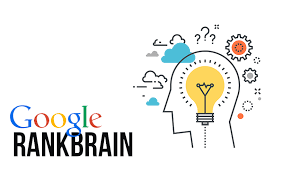 Most important is that how you can optimize your web pages for Google Rankbrain. Here, I am going to share 9 strategies to improve your Google ranking through Google AI Rankbrain SEO. Without taking your much time, let’s elaborate these above points. Make your website mobile friendly. You have read so many times this point. But, I want to add some more things to it. Making mobile-friendly pages include the mobile version pages. Make text, video, and slides readable, clear & errorless. This is the most important point because many websites compromise with this.Many websites use heavy large images, popups, ads, sounds, and slider to make their website more eye appealing. But the fact is that if your website doesn’t open within 10 seconds you will lose more than 50% audience. You can check your website pages speed and traffic lose on Google Test My Site. etc… A good web developer can help you in this. Let me first explain you about bounce rate. Bounce rate is a percentage of users who visited your single page without interacting with your other landing pages within a defined time period. Most of the user who visited your website interact with the single page. You need to make them interact with your other pages also. How to control bounce rate? What is dwell time? Dwell time tells how long user stays on your landing page. Dwell time is important. Google AI Rankbrain collect data on dwell time of every website. Add a long content on the page of more than 1000 words. CTR is click through rate. Google AI Rankbrain collects the data on CTR of the particular search result. How can you improve the CTR of your results? LSI is Latent Semantic Indexing keywords. You can read more about LSI here in my post. What does it mean? Readability is indirectly linked with the dwell time of the page. If the user is not able to read your lines properly then it will definitely move to another result. You can use Yoast SEO plugin to check your page readability if your website developed on WordPress. Structured data helps Google bots to collect all data from your website pages easily. Structured data improves your CTR. Have you seen rating stars with results? Have you seen product price as the result? Have you seen navigational arrow in the result? Have you seen knowledge graph any organization & personality? These all due to structured data. Use schema markups in you page coding. You can learn more about Schema coding here. If you want to check that your website support structured data or not? You can use this Google tool. Google AI Rankbrain is the very complex algorithm. There are more points which Google AI Rankbrain consider while giving ranking to any page in SERP. 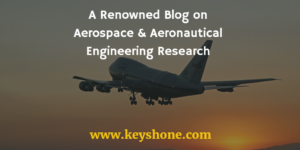 But, what I have mentioned above are major points which are supported by industry experts. I hope you liked this post. I hope this post will help your website to be Google AI Rankbrain SEO friendly. Sharing is caring. Please share with your friend who has a website and suffering from online competition and poor ranking.